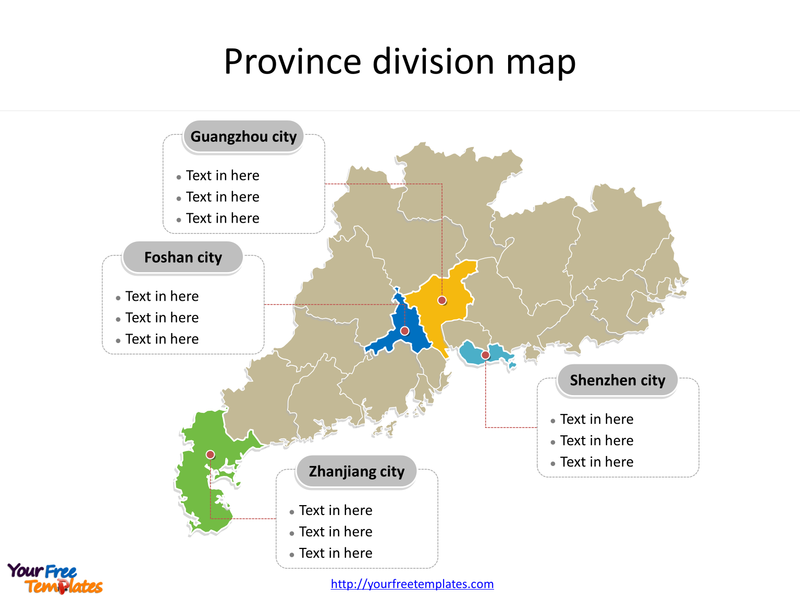 The Province of Guangdong map (广东地图) Template in PowerPoint format includes two slides. Firstly the Guangdong maps with outline is labeling with capital and major cities. Secondly the Guangdong maps with outline is labeling with major divisions. 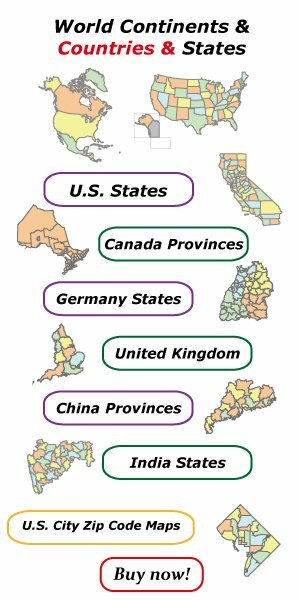 So our Guangdong maps PowerPoint templates have capital and major cities on it. They are Guangzhou, Shenzhen, Zhuhai, Maoming, and Chaozhou. Finally the most populated divisions are Guangzhou, Shenzhen, Foshan, and Zhanjiang. 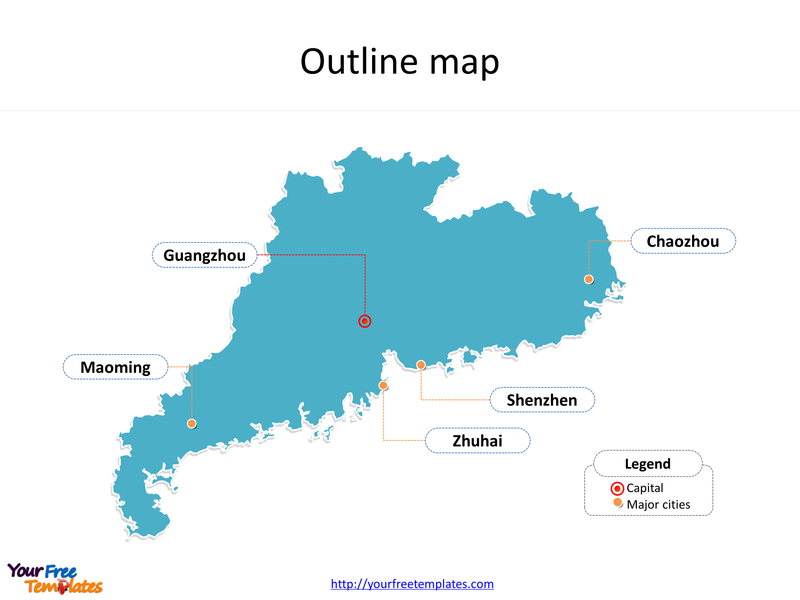 The Guangdong maps PowerPoint templates include two slides. Our Province of Guangdong map is for the province in South China, located on the South China Sea coast. Firstly Fujian is neighboring from the northeast. Secondly Jiangxi and Hunan are neighboring from the north. Thirdly Guangxi autonomous region is neighboring from the west. Fourthly Hong Kong and Macau Special Administrative Regions are neighboring from the south. Finally Hainan is offshore across from the Leizhou Peninsula. Its capital and largest city is Guangzhou, other major cities including Shenzhen, Zhuhai, Maoming, and Chaozhou. You can found them in our Guangdong maps PowerPoint templates. The most populated divisions in Guangdong province are Guangzhou, Shenzhen, Foshan, and Zhanjiang. What is more, Guangdong become the most populous province in China in January 2005, registering 79.1 million permanent residents and 31 million migrants who lived in the province for at least six months of the year. The labels and shapes are layers of different groups. In a word, you can change the texts, colors, sizes, and add your charts. At the same time you can also refer to the fully labeled Province of Guangdong in Wikipedia. Believe it or not, analysts from marketing research companies, consultants from professional firms think highly of our website yourfreetemplates.com. Most important of all, our maps can help to reduce their efforts and create good-looking maps.